When you think of dinosaurs, you think of enormous lumbering giants, but not all of them were like that. 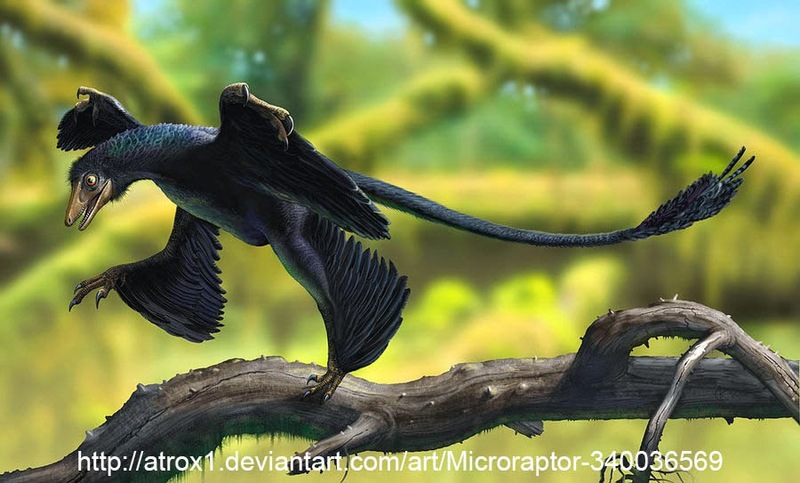 Microraptor is the smallest dinosaur we know (other than birds, which are a type of dinosaur). It was a true raptor related to velociraptor etc.... but it was less than a meter tall and probably only weighed about a kilogram. They probable fed mostly on fish. Specimens of Microraptors posses some of the best preserved dinosaur feathers we have ever found, and have been studied in great detail. 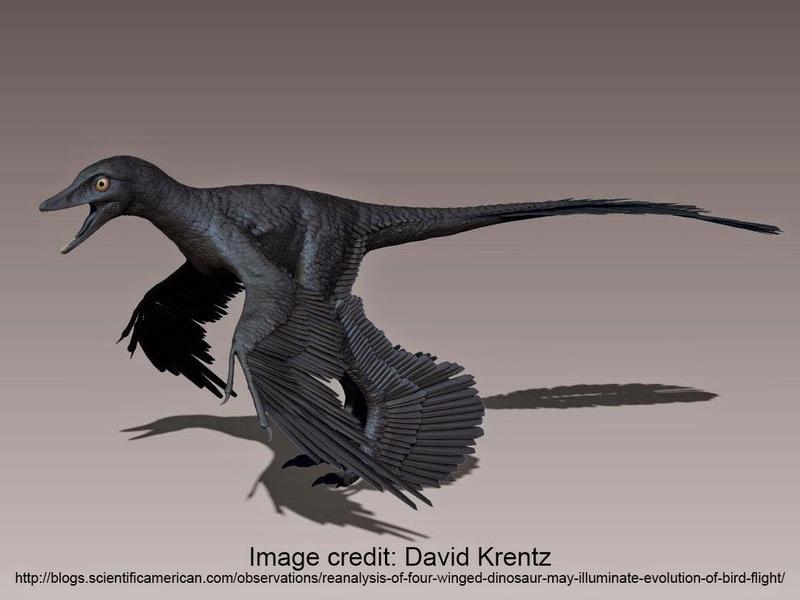 Our best guess based on the structure of the fossilized pigments is that their feathers were a shiny black color. Their feathers have a similar structure to birds feathers and may have been used for powered flight. 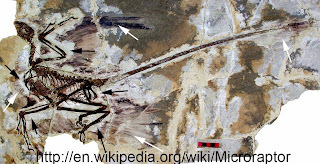 Microraptor had four wings, one on each limb. Opinion on their capability for powered flight is divided with some paleontologists asserting that they were probably only useful for gliding. If they were capable of powered flight they would have evolved this ability separate to the bird lineage. 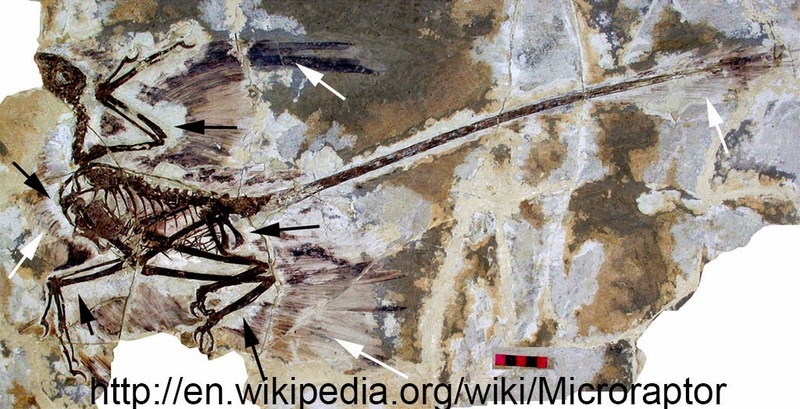 Mutiple specimens of Microraptor have been found from Liaoning, China and are 120 to 125 million years old.